Note: While Cathy is on Sabbatical, Louise is responsible for all the blog's content. Cathy will return March, 2018. Roy has crafted a beautiful tribute to elephants, specifically those who live in Africa. 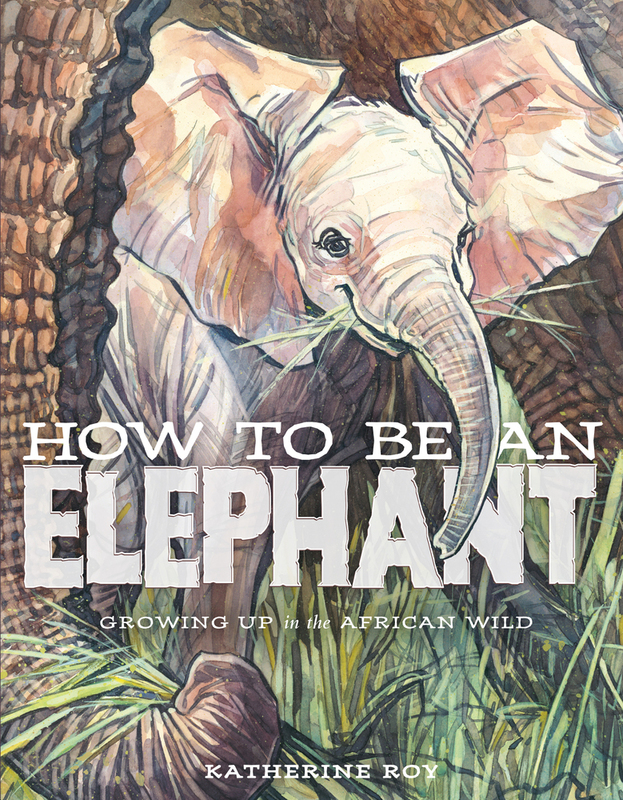 Every aspect of an elephant’s development, from newborn to mature adult, is explained in language understandable to the youngest readers in this colorful nonfiction picture book. Roy’s research included traveling to central Kenya in 2014 and spending several days with elephant experts in the field and took part on a 10-day safari through parks and reserves. The text is complemented by Roy’s watercolor illustrations and detailed diagrams. Back matter includes a heartfelt author’s note, selected resources, scientific articles, further reading, and resources of books, films, and websites. Click here to visit the author's web page and see a behind-the-scenes film. An excellent resources for all ages. it is an amazing informational book. A great resource for kids who LOVE elephants!